Yotam Ottolenghi & Helen Goh joined us for our Autumn Literary Festival 2017 for demonstrations and signings, it was a fantastic evening! 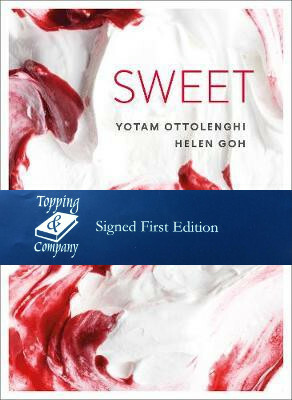 Sweet is a return to Yotam’s roots as a pastry chef and offers a mouthwatering array of recipes for hand-crafted sweet treats, freshly made with love, flair, real ingredients and lots of attention to detail. This is the quintessential Ottolenghi flavour formula brought to baking.